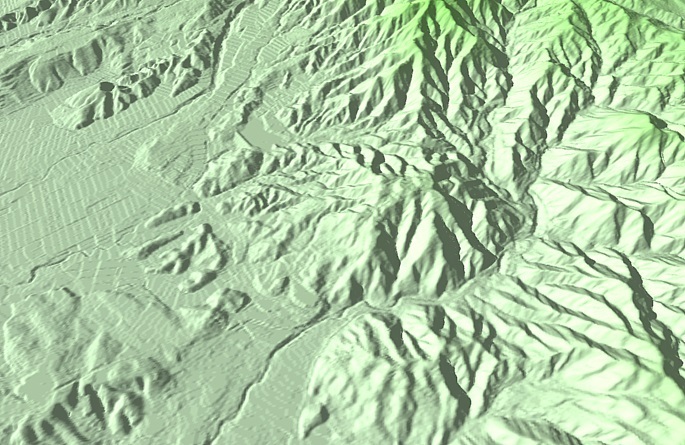 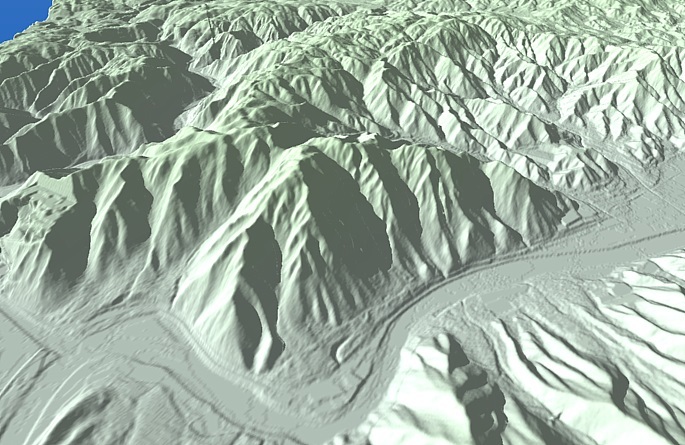 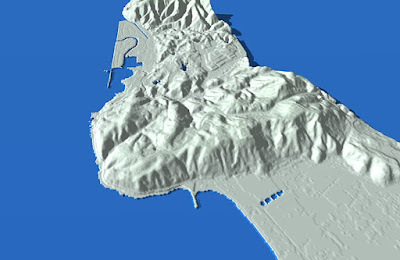 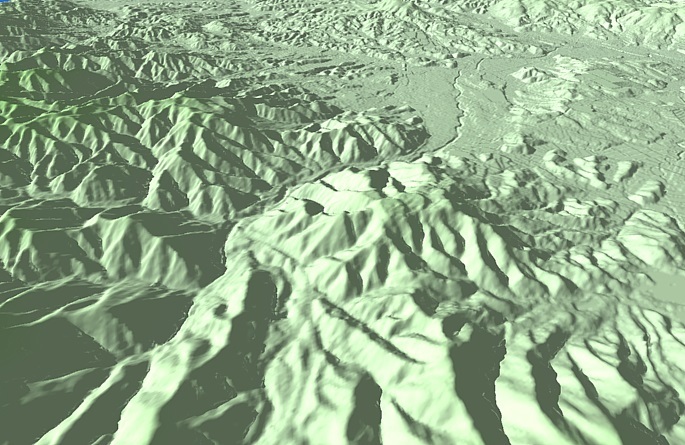 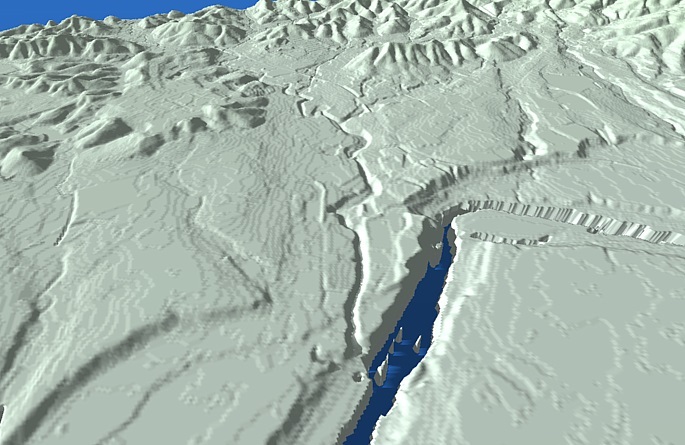 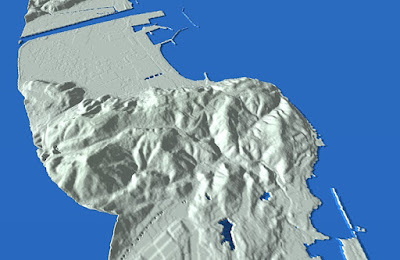 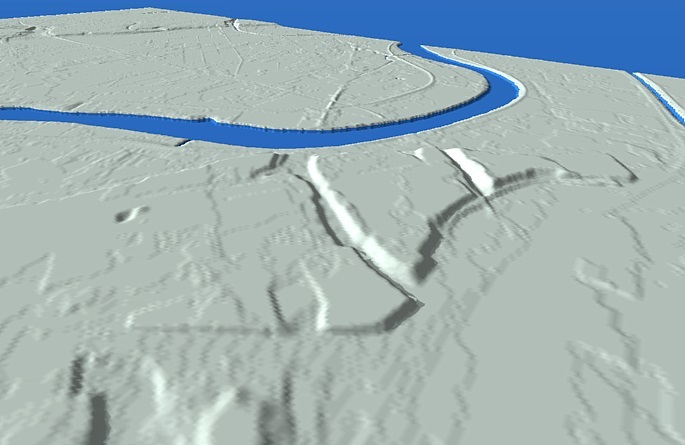 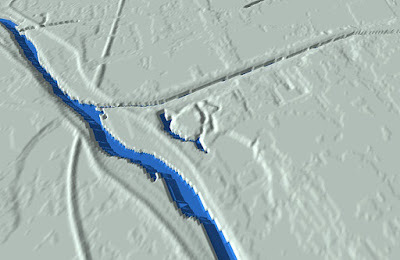 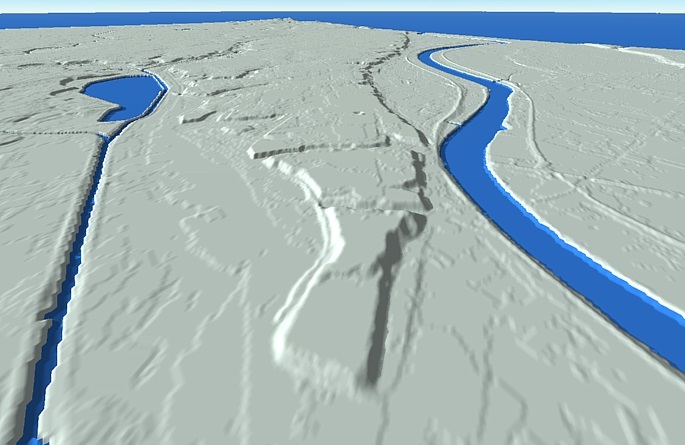 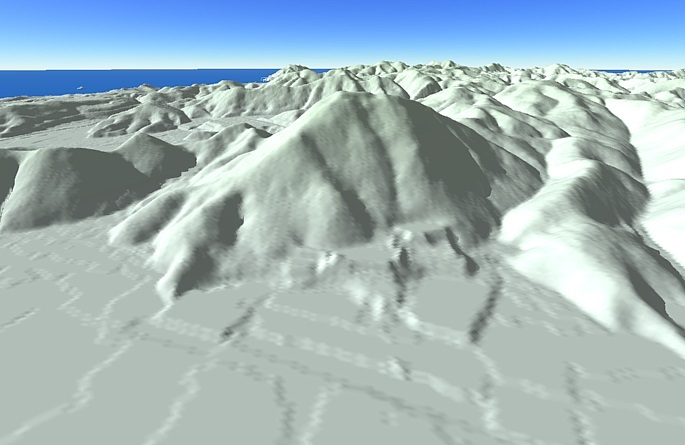 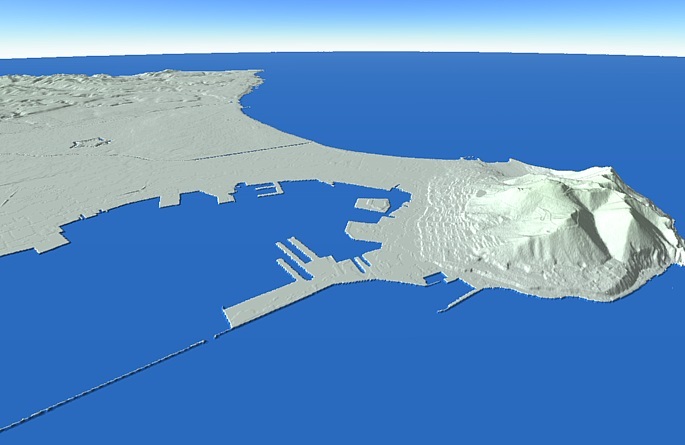 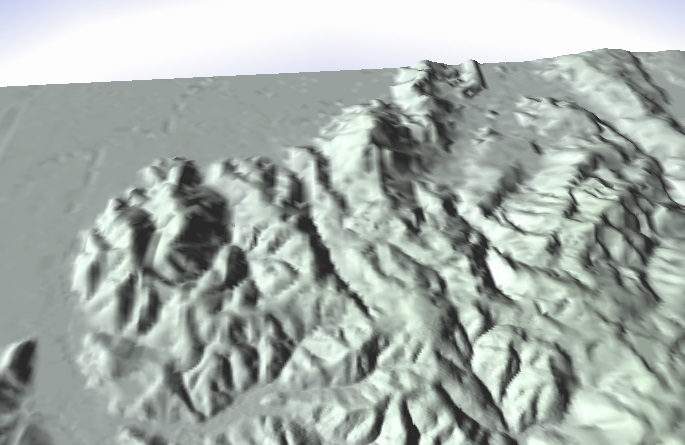 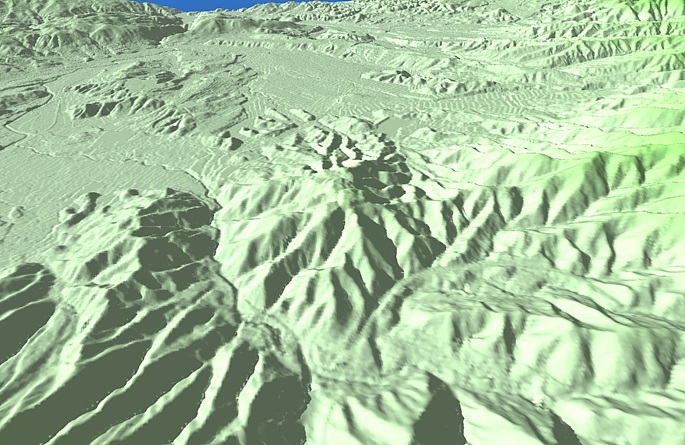 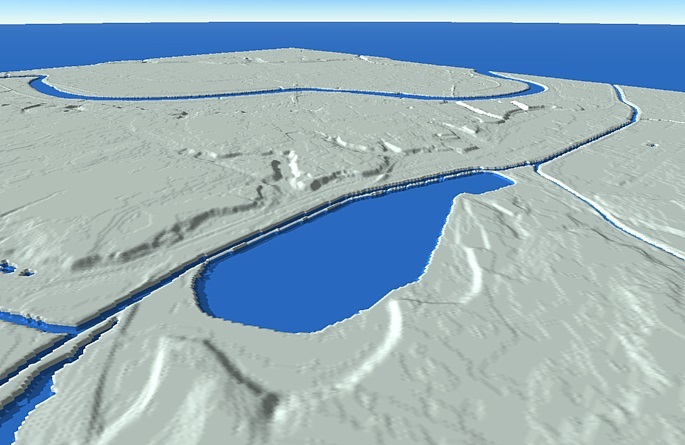 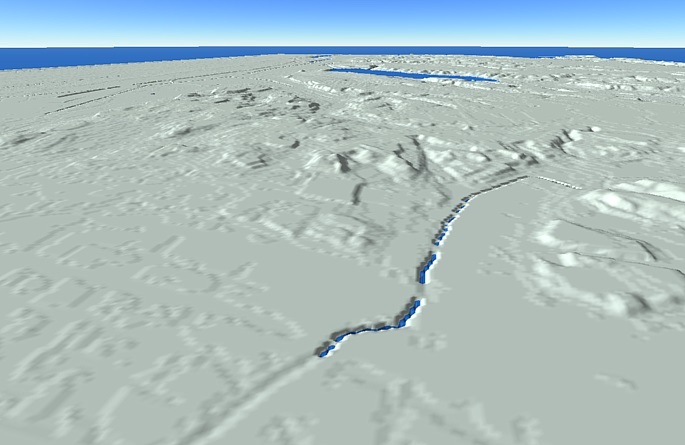 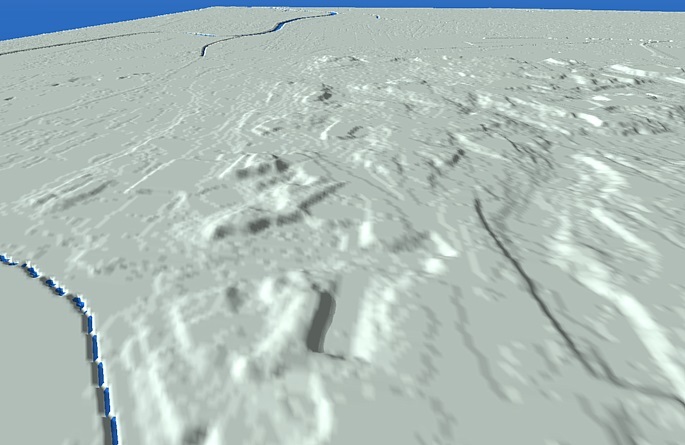 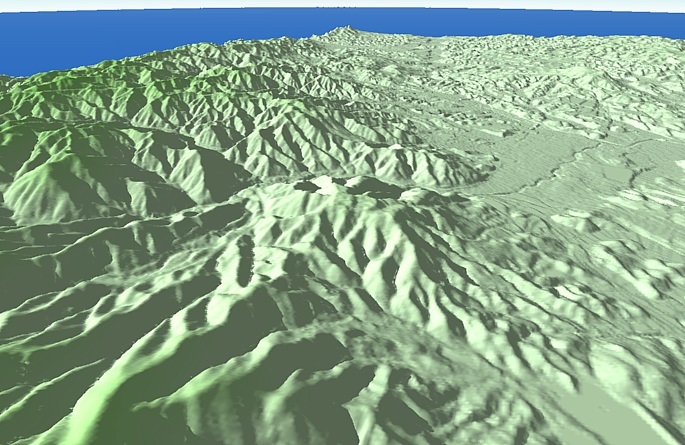 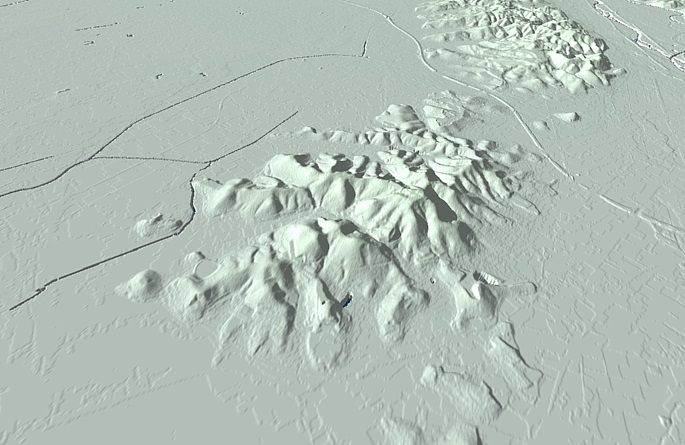 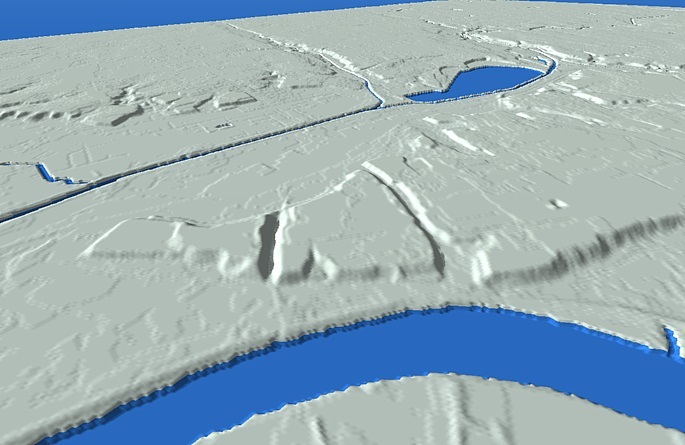 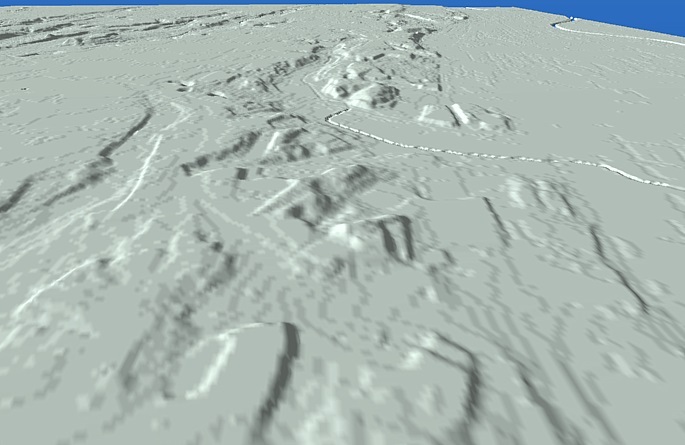 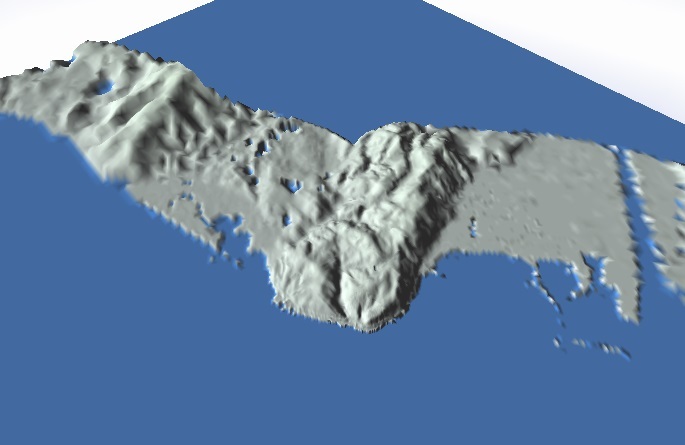 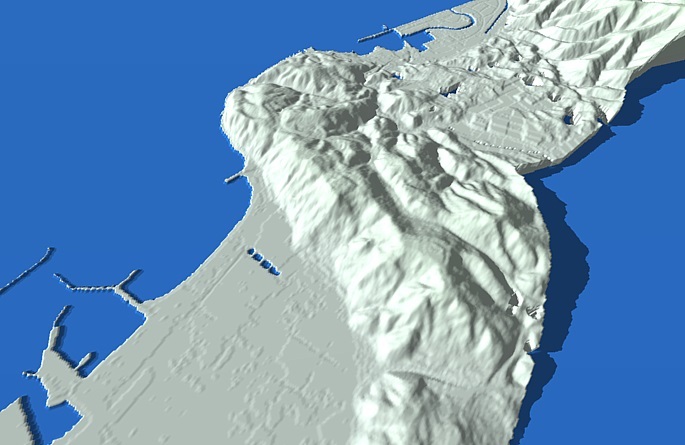 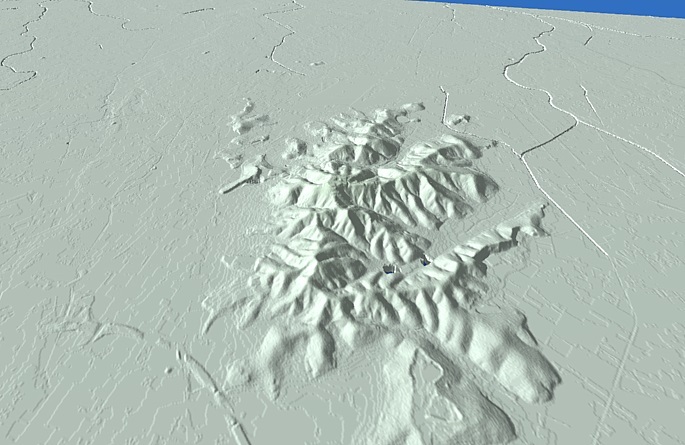 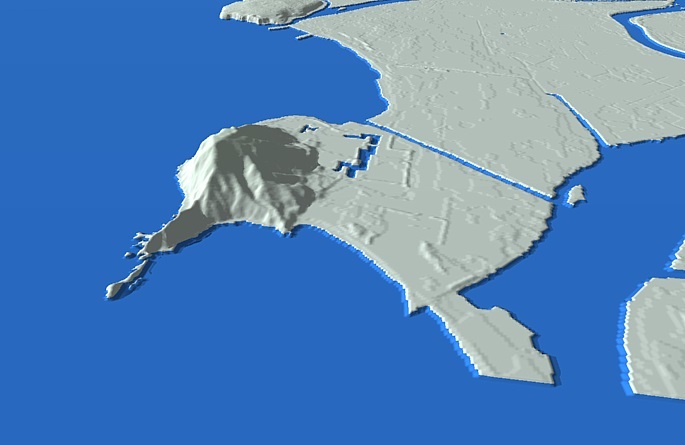 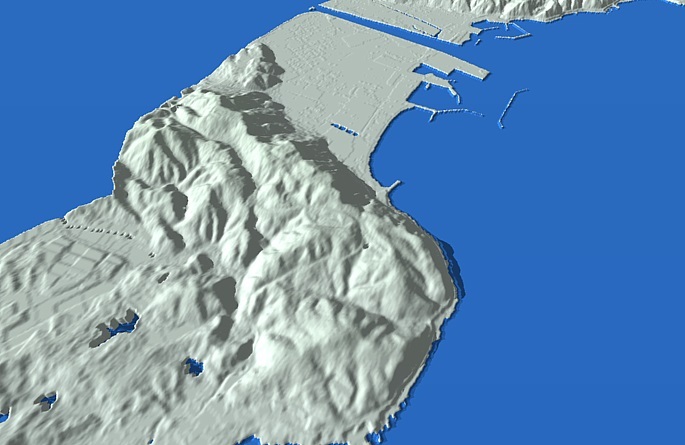 This map includes elevation data and we can configure to show this. 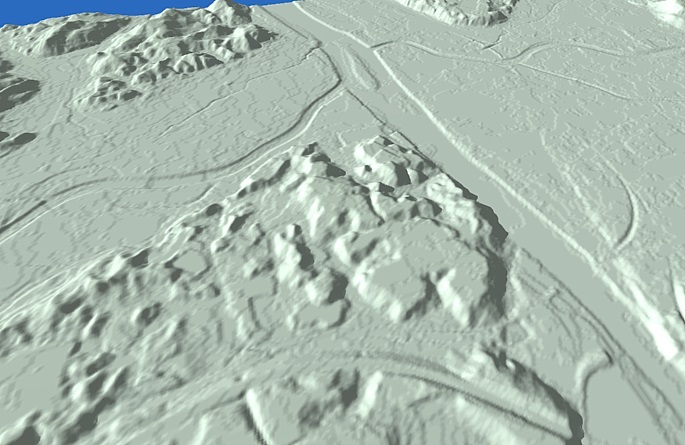 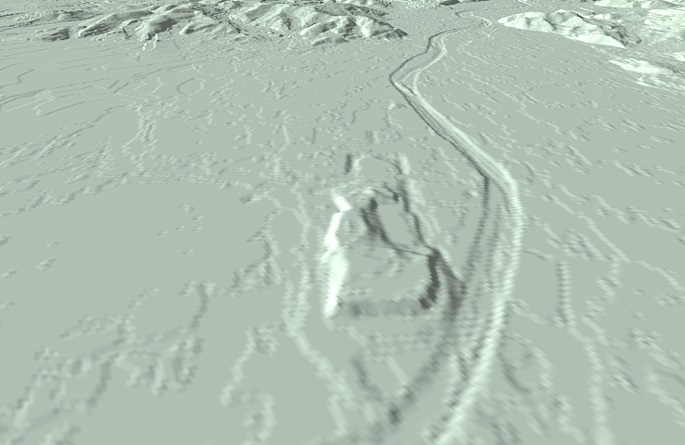 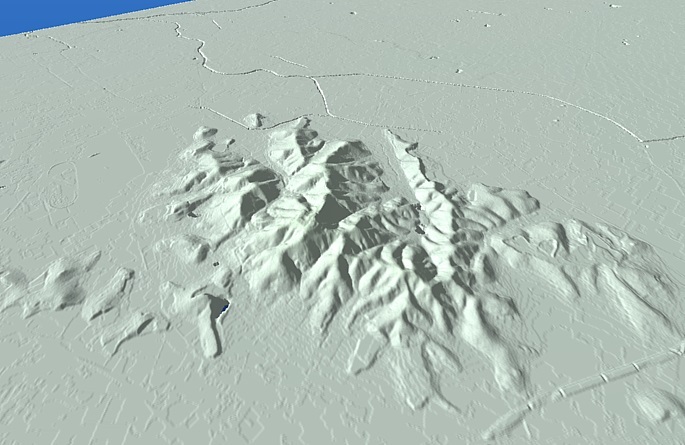 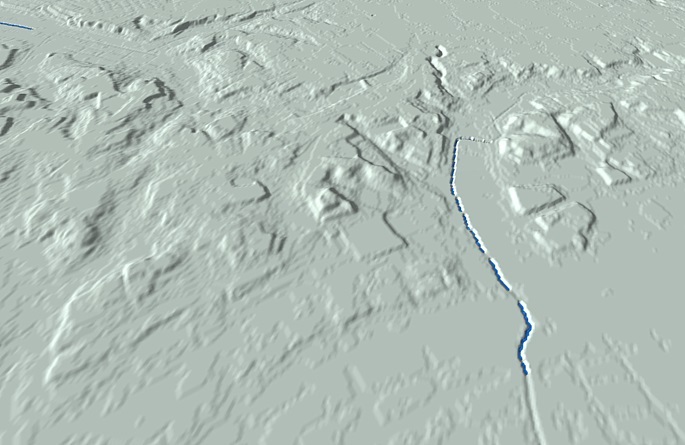 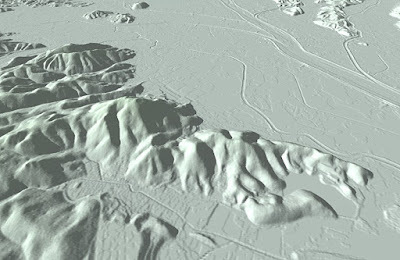 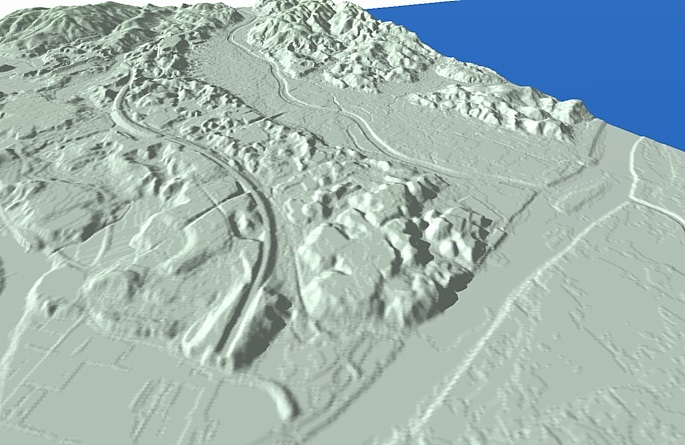 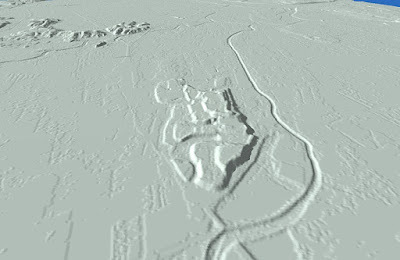 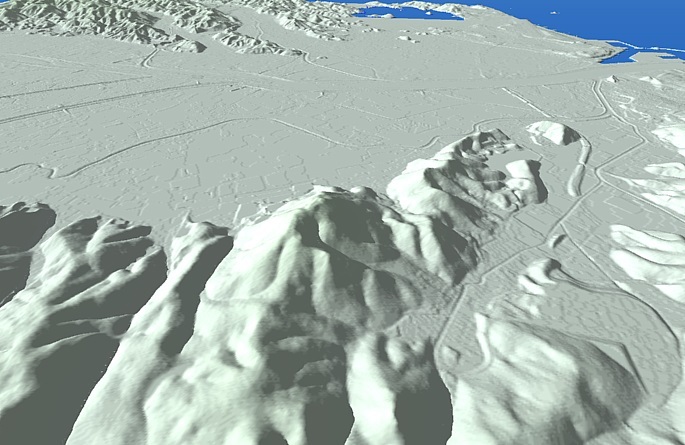 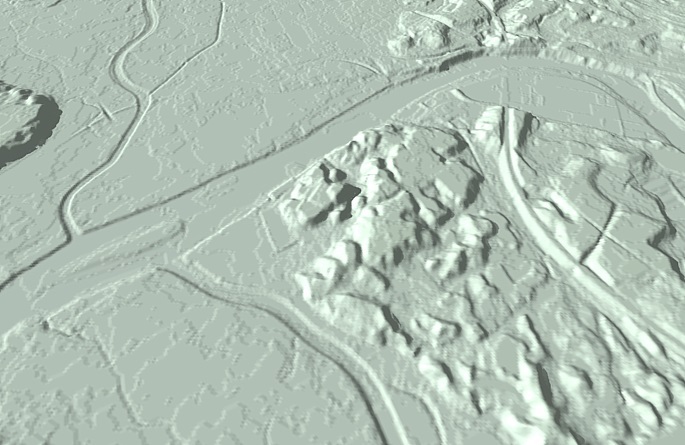 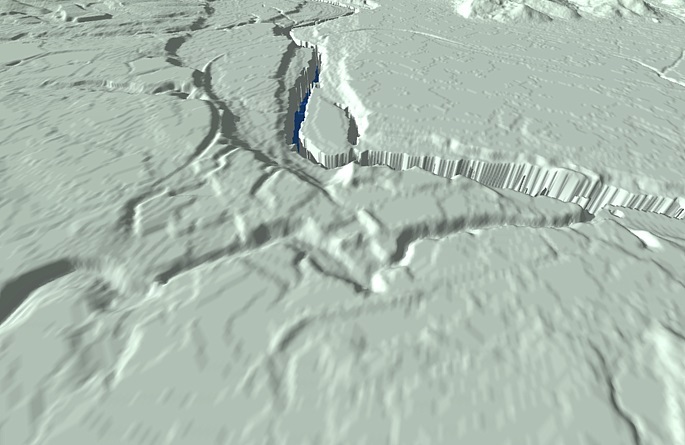 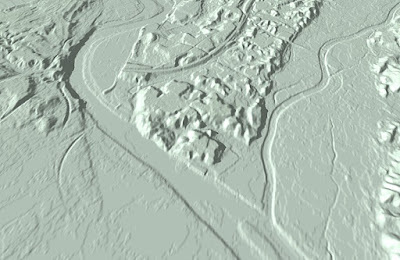 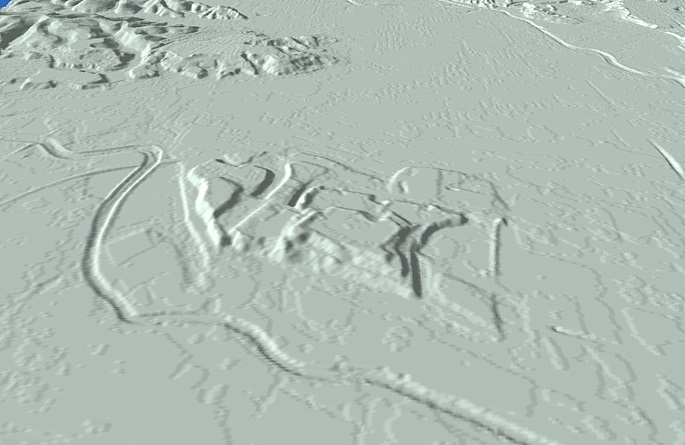 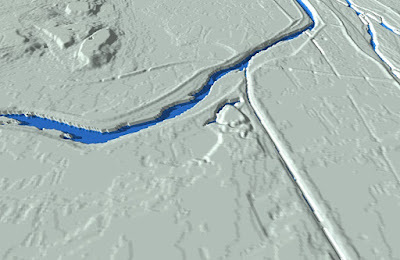 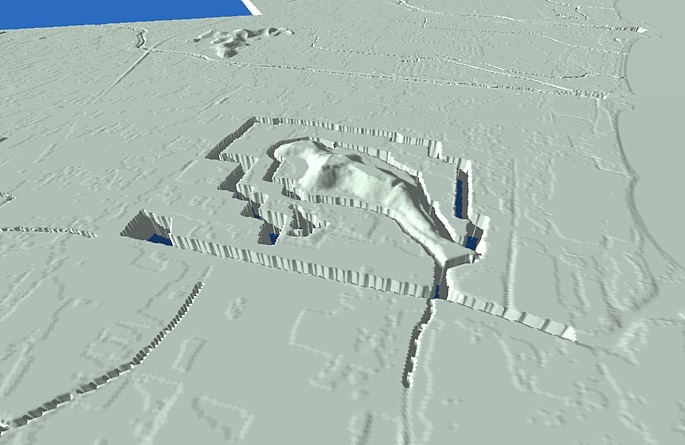 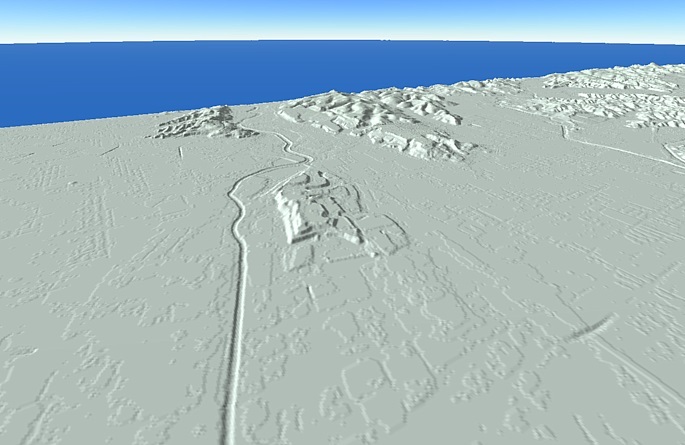 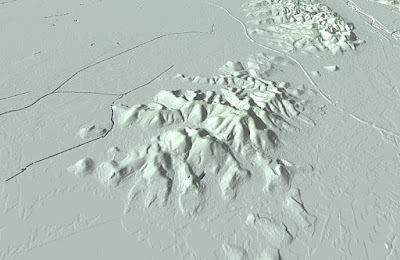 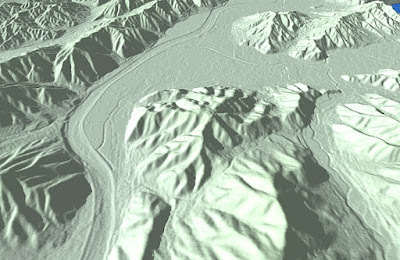 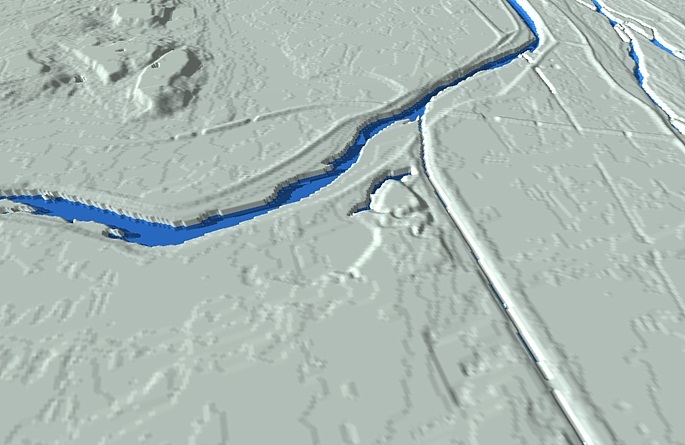 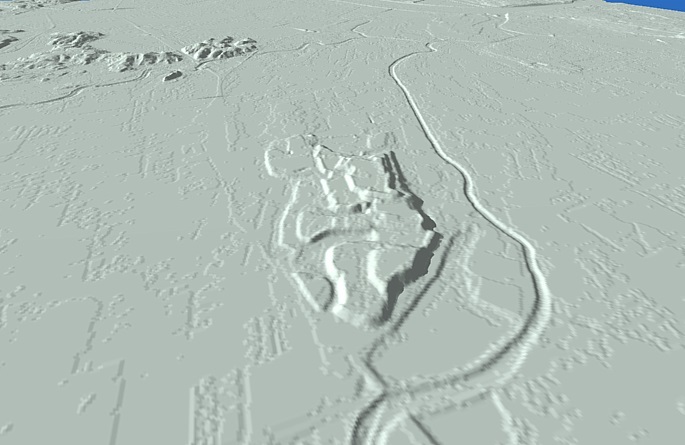 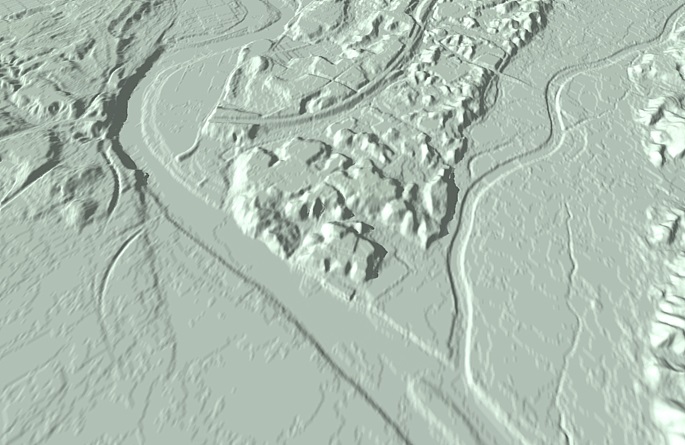 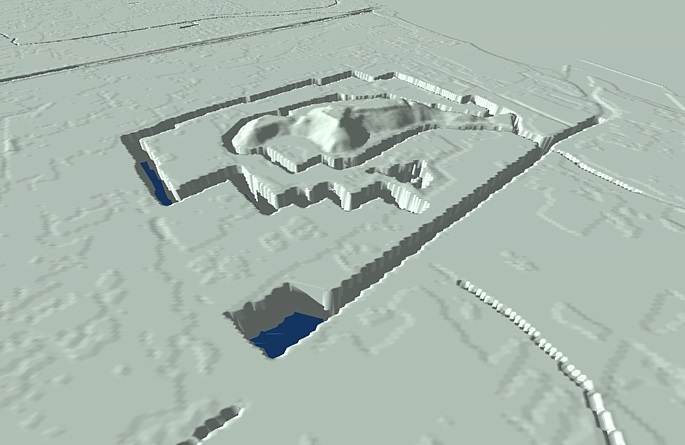 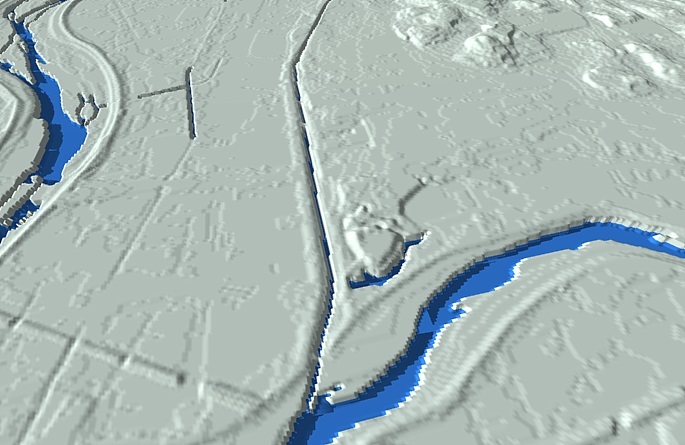 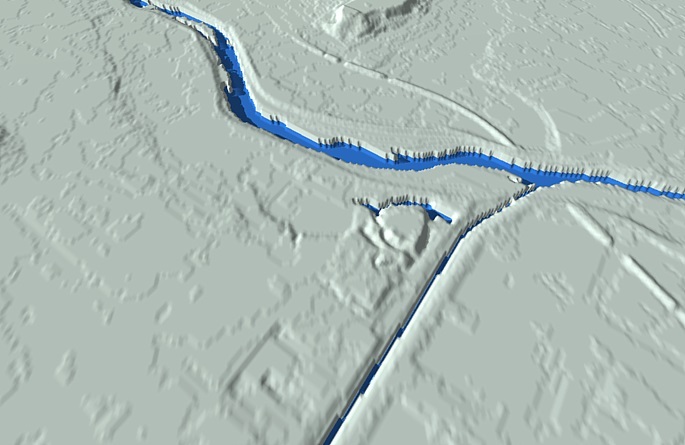 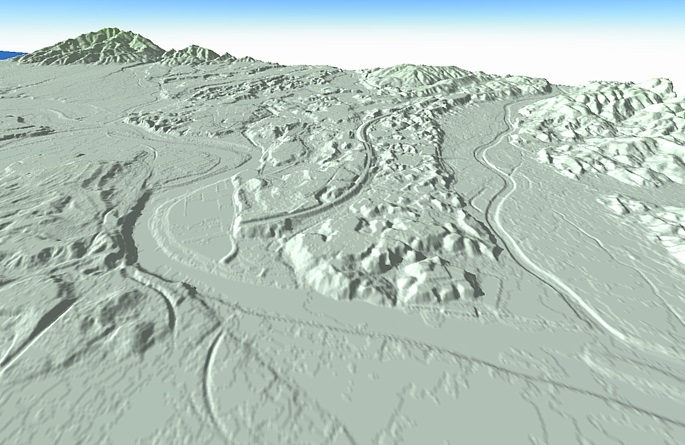 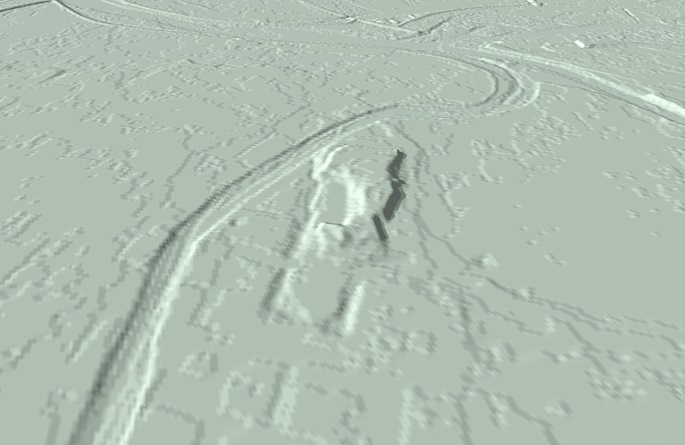 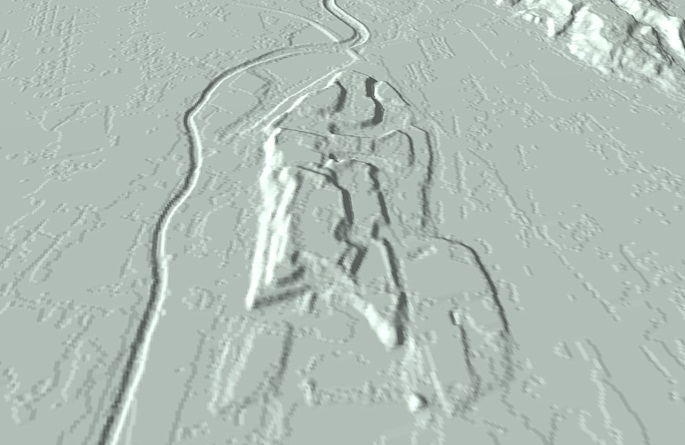 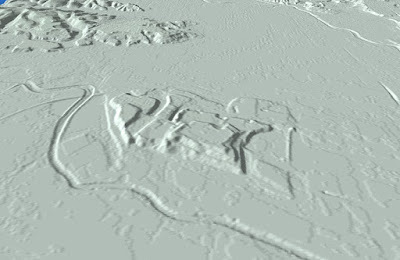 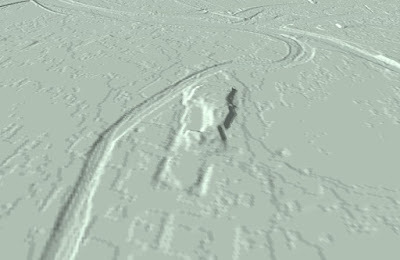 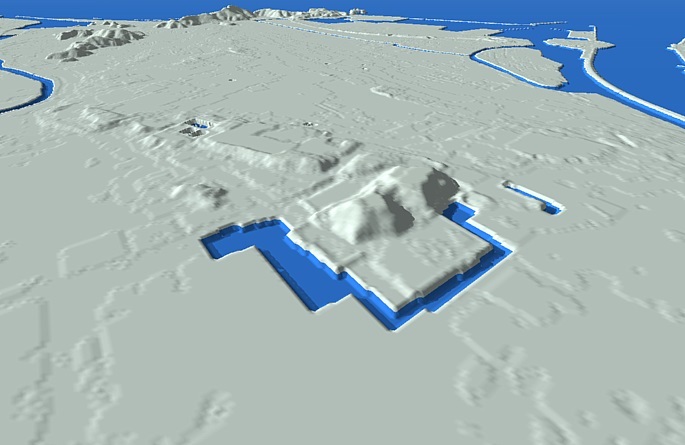 Of course these data is provided for practical use, but utilizing this elevation data we can understand the location and shape of some castles more clearly, because this only shows information on terrain (Of course it is not applicable to every castle. 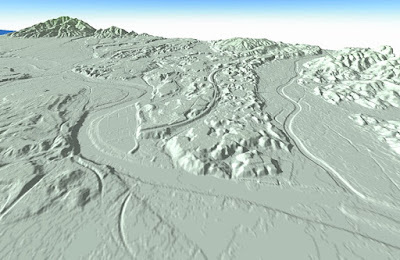 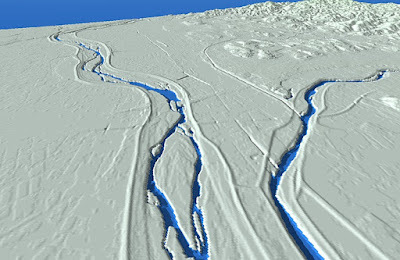 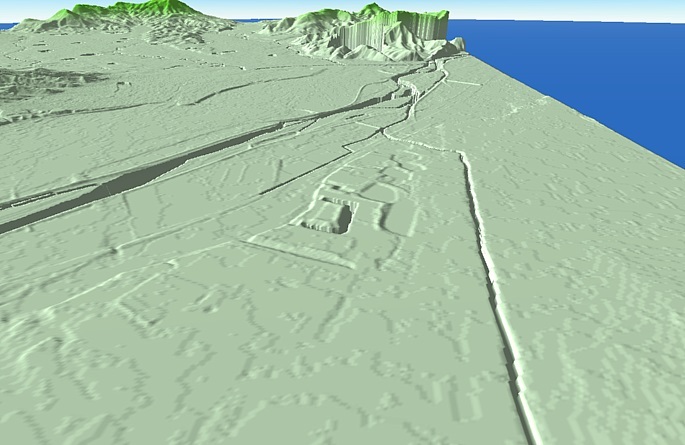 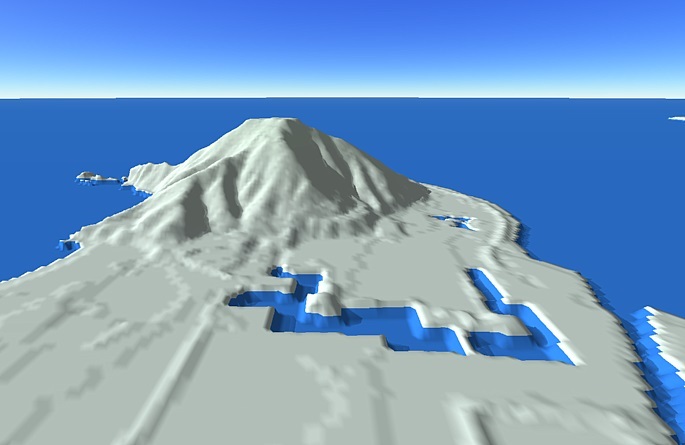 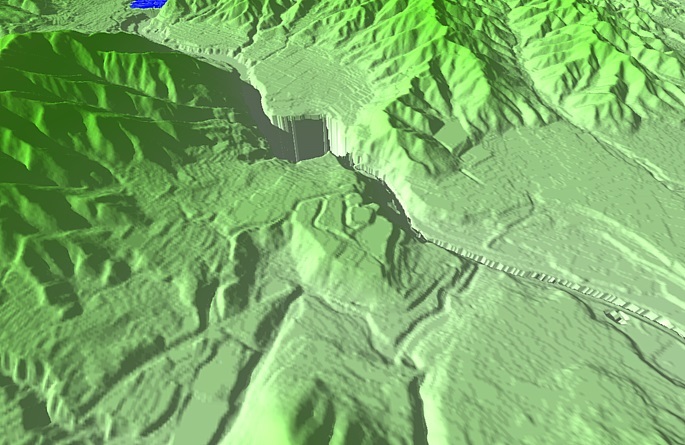 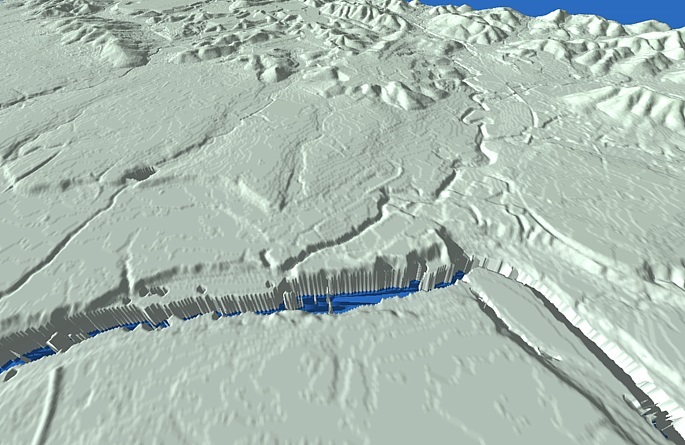 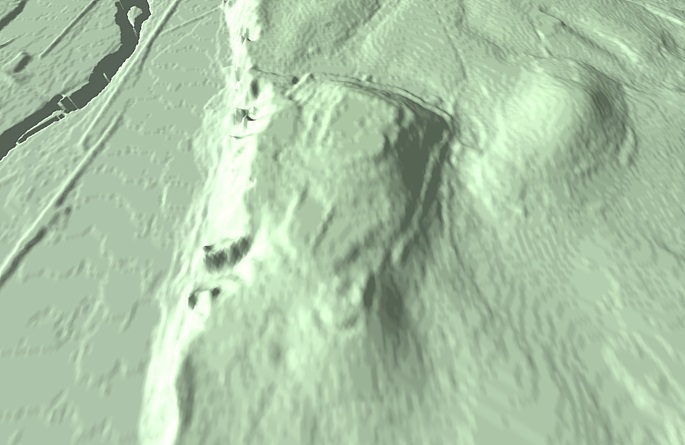 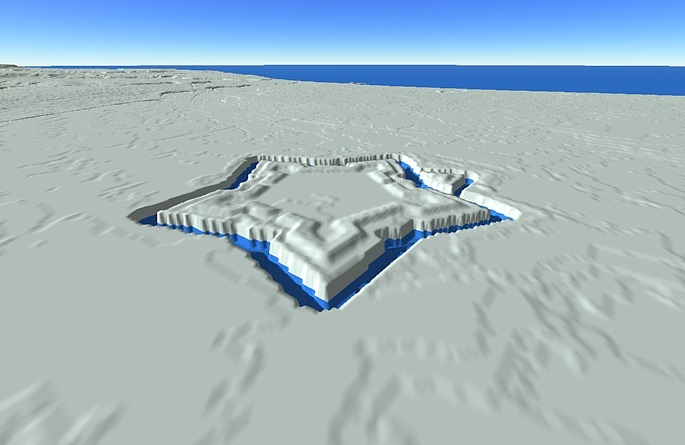 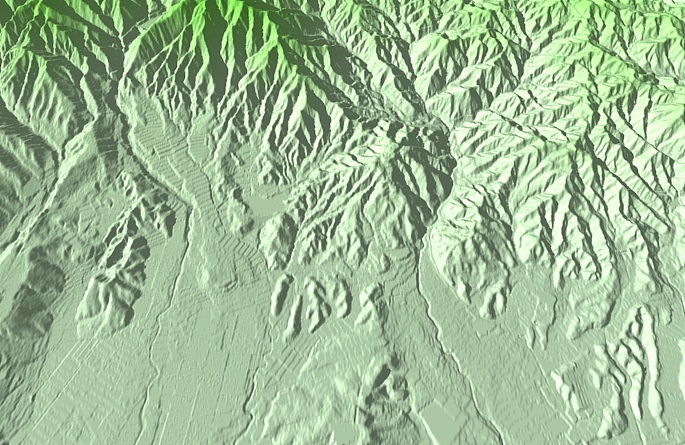 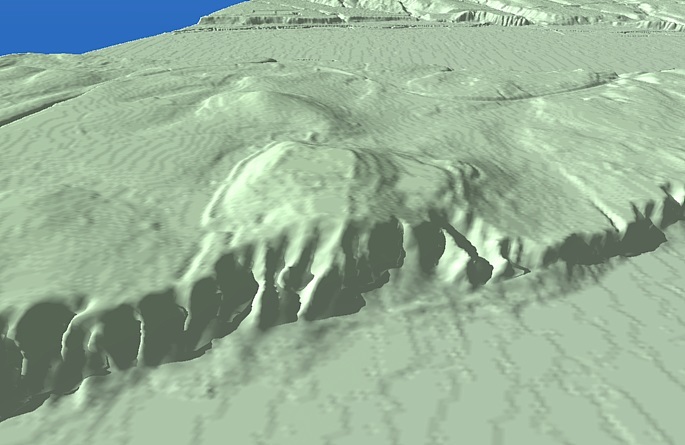 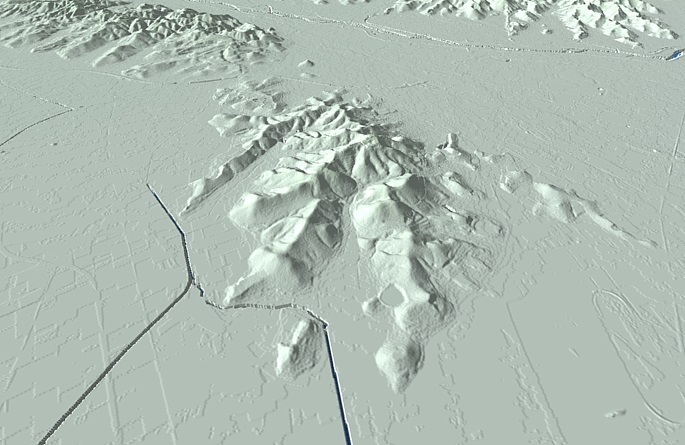 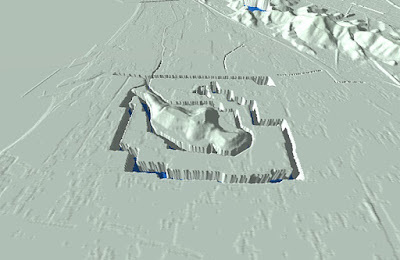 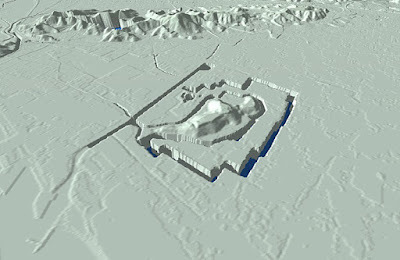 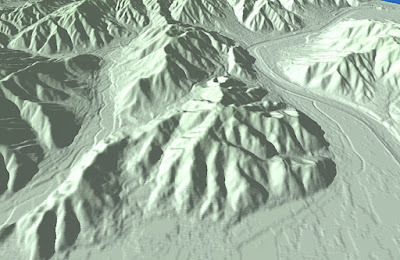 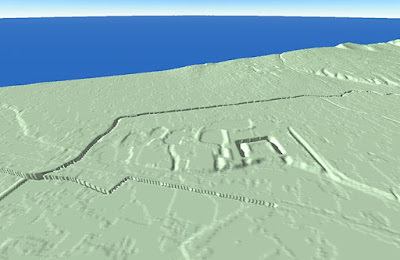 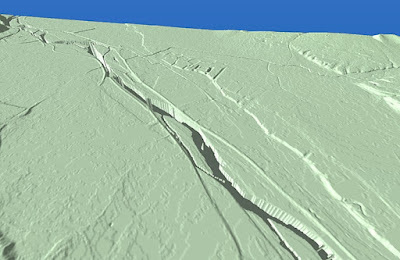 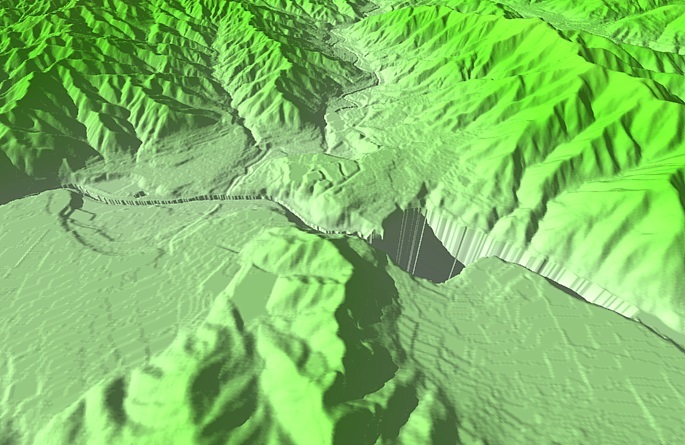 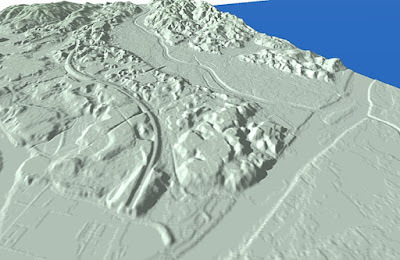 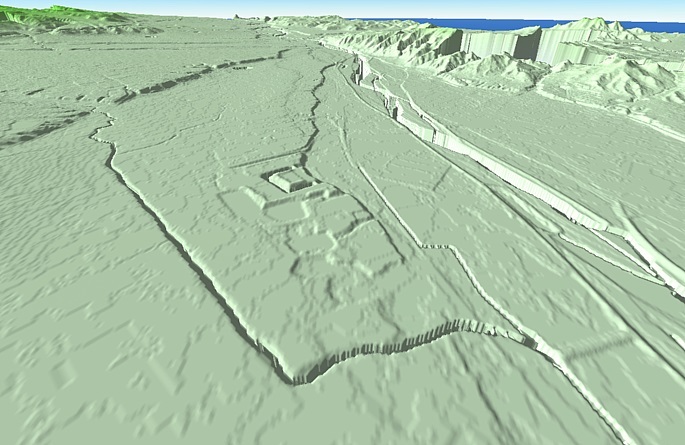 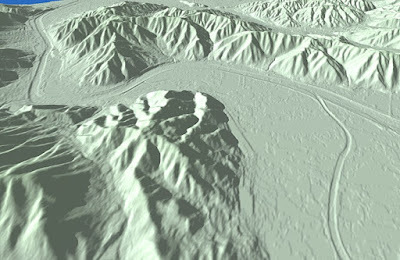 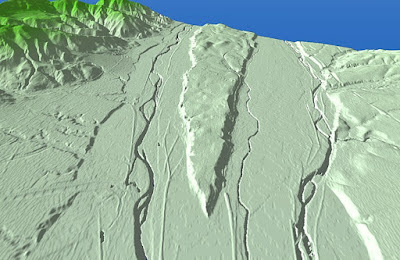 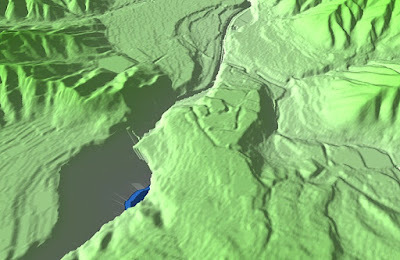 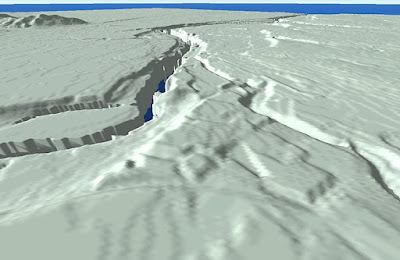 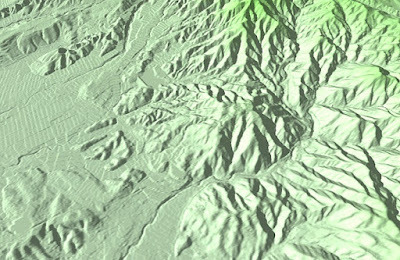 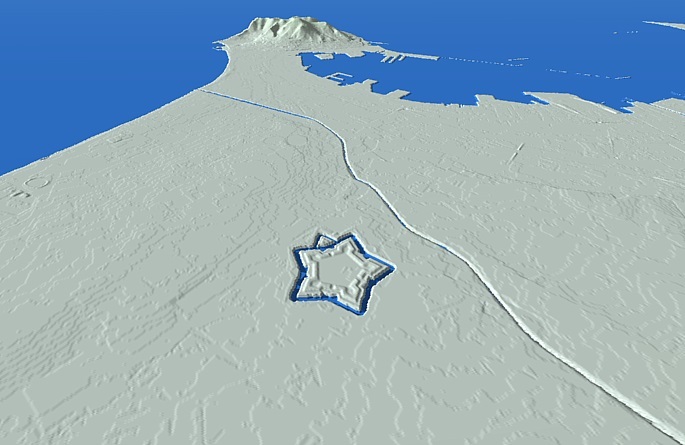 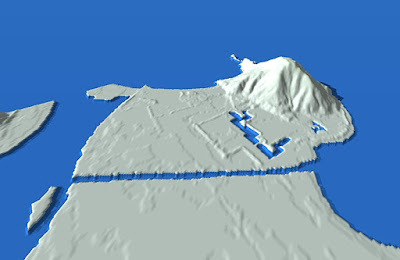 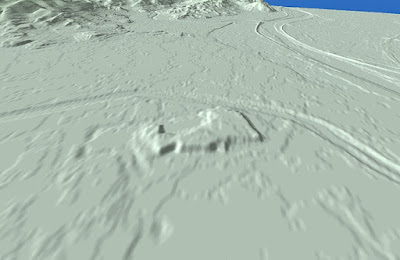 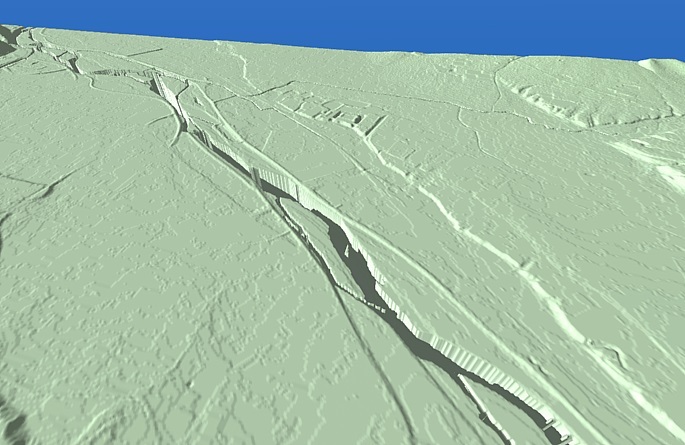 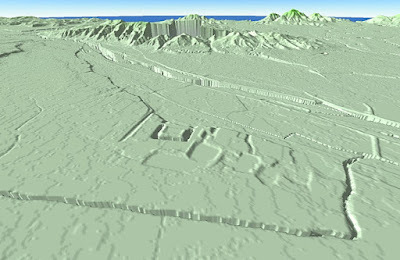 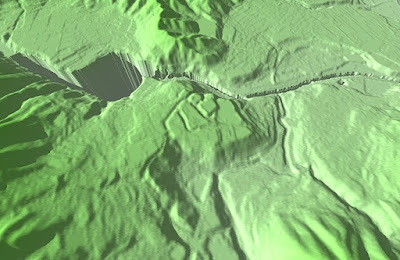 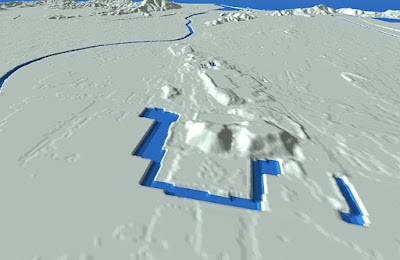 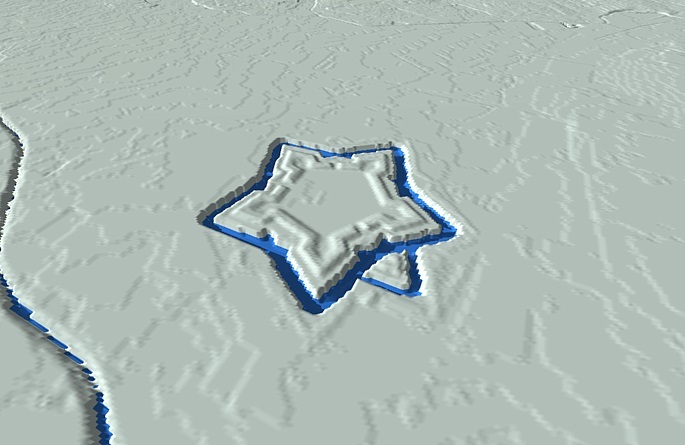 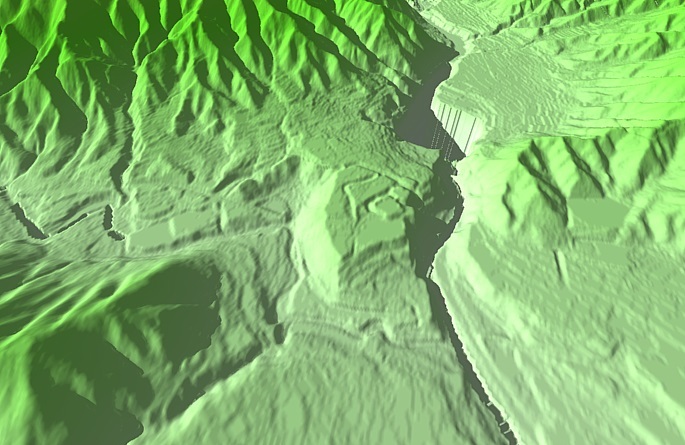 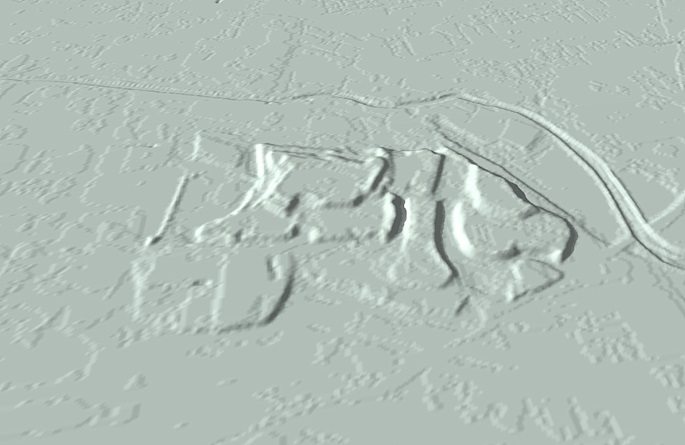 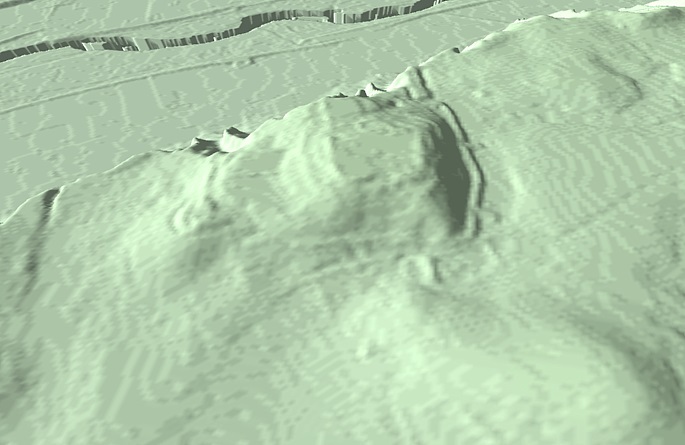 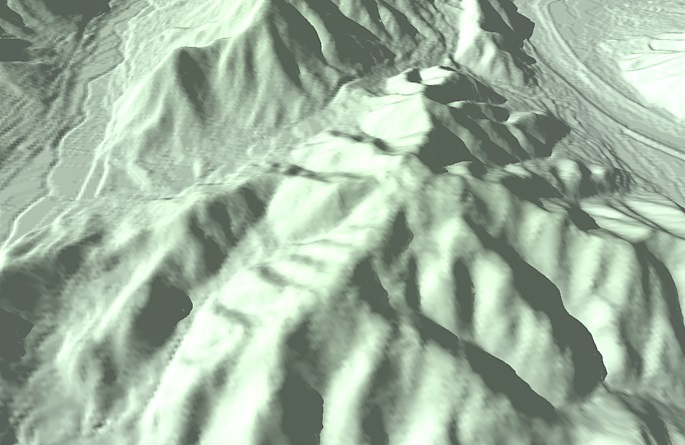 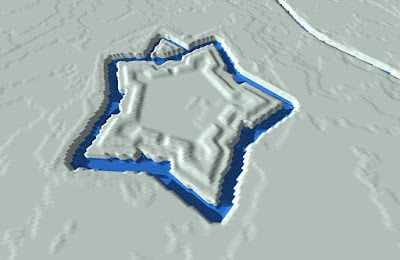 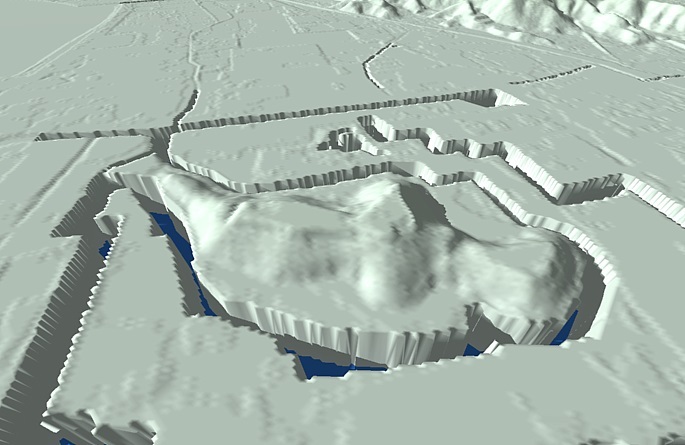 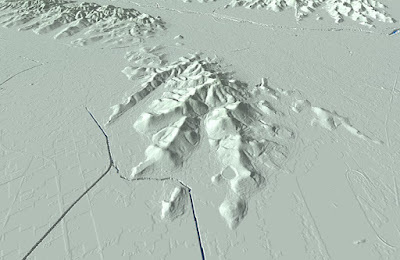 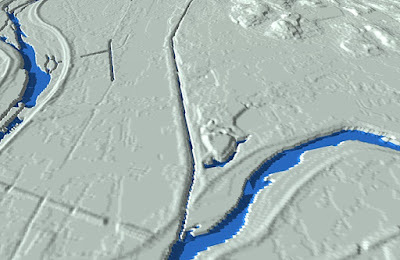 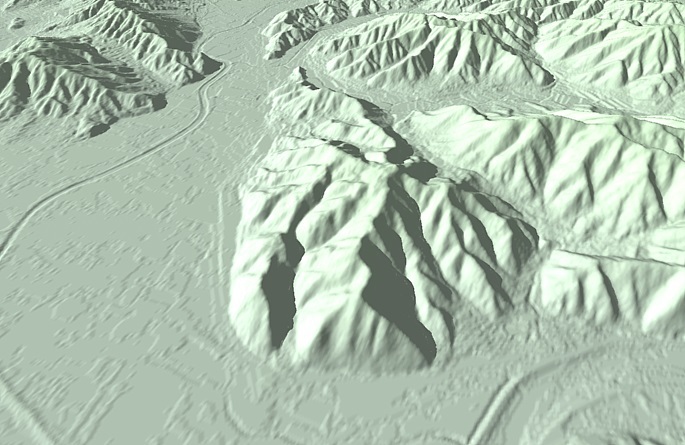 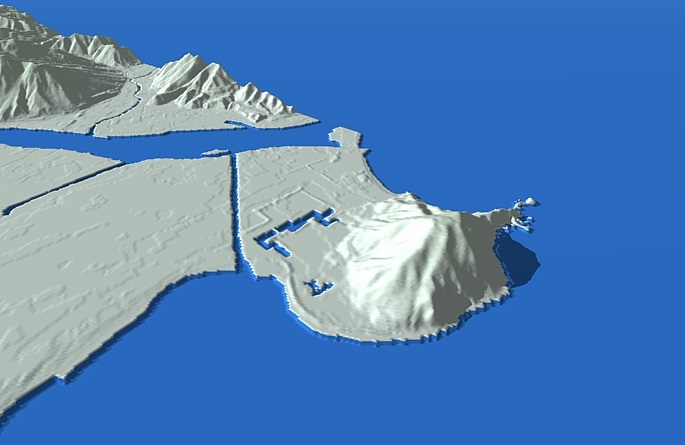 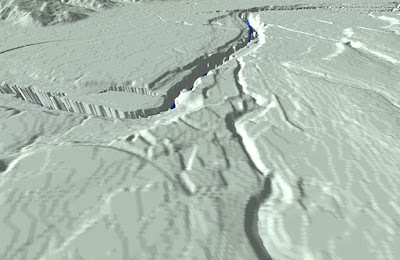 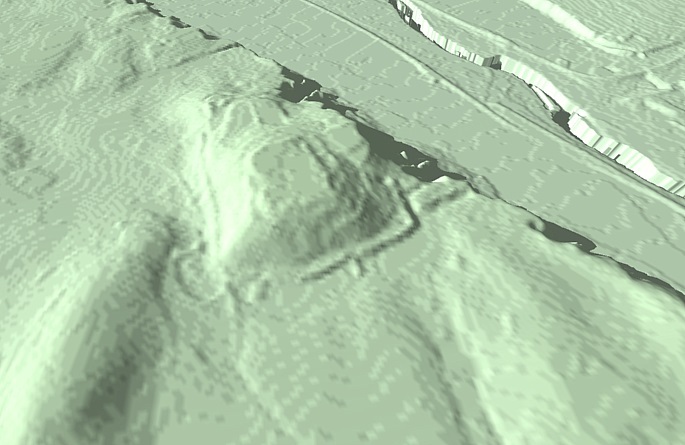 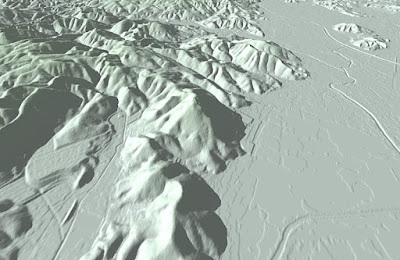 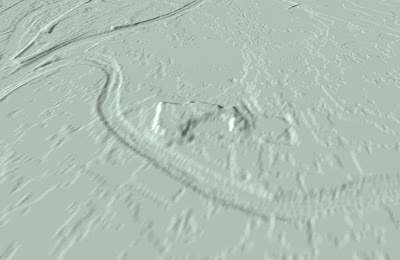 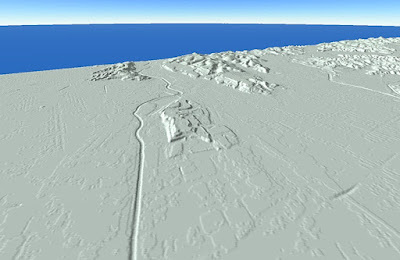 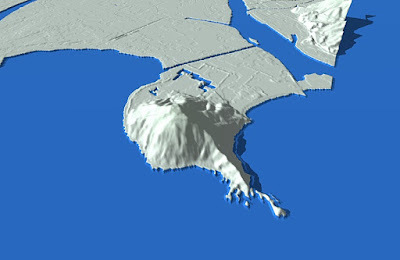 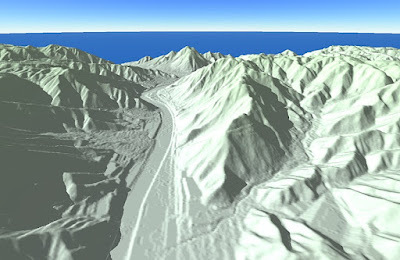 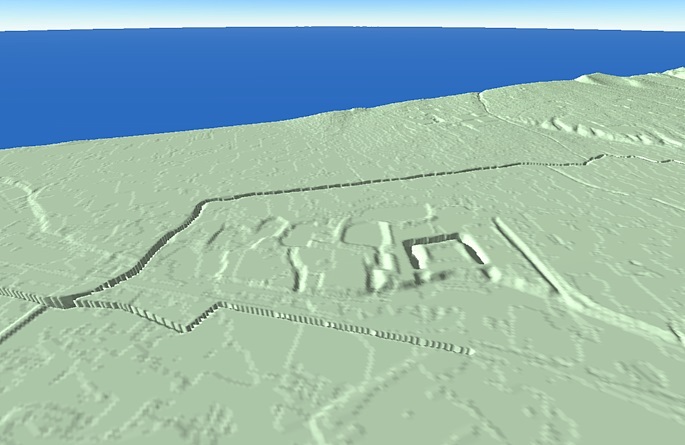 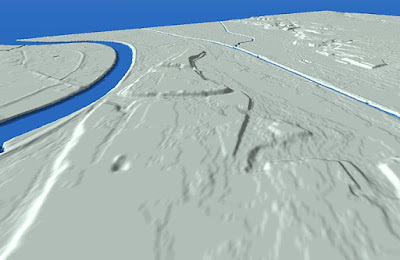 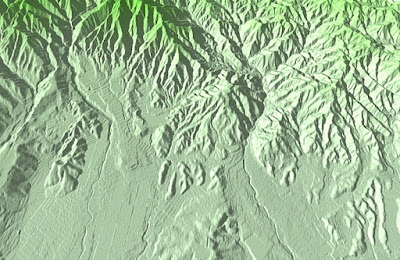 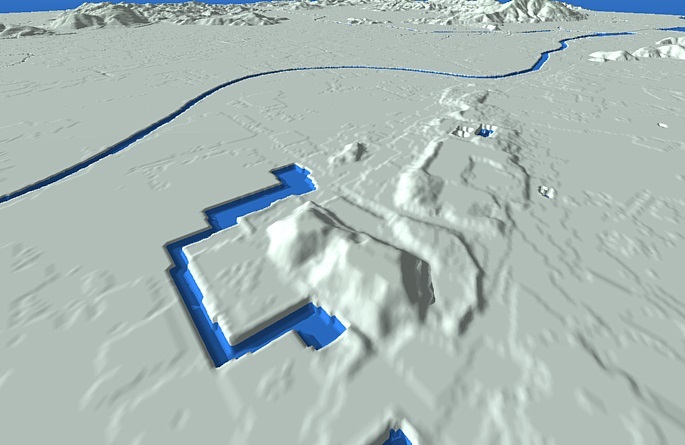 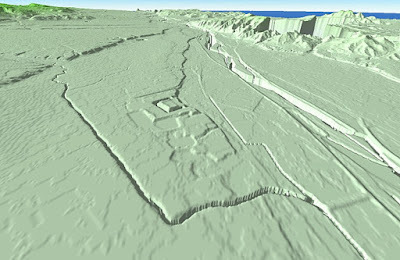 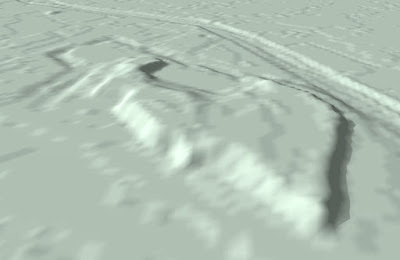 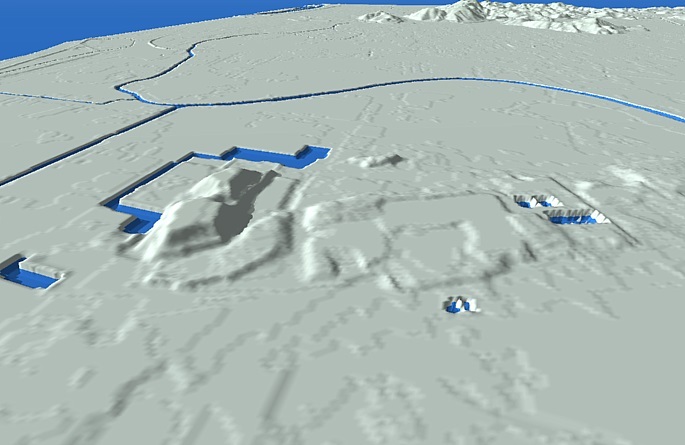 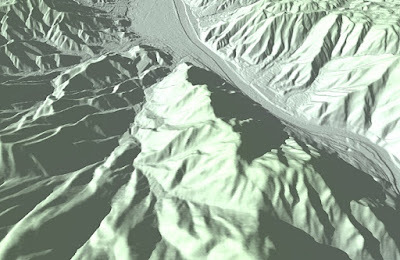 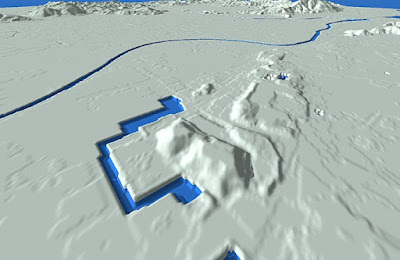 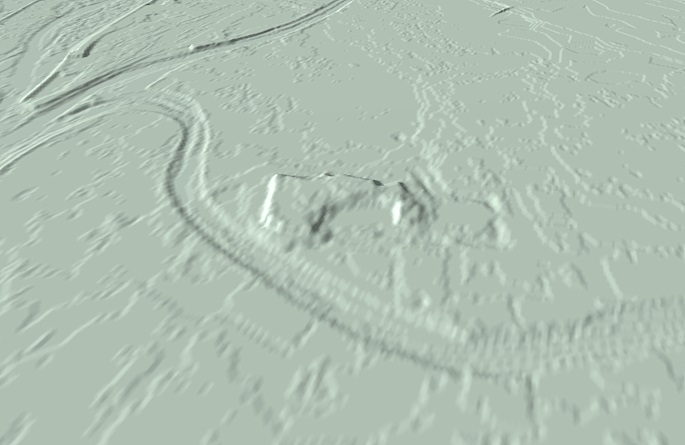 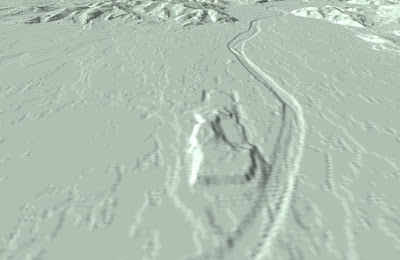 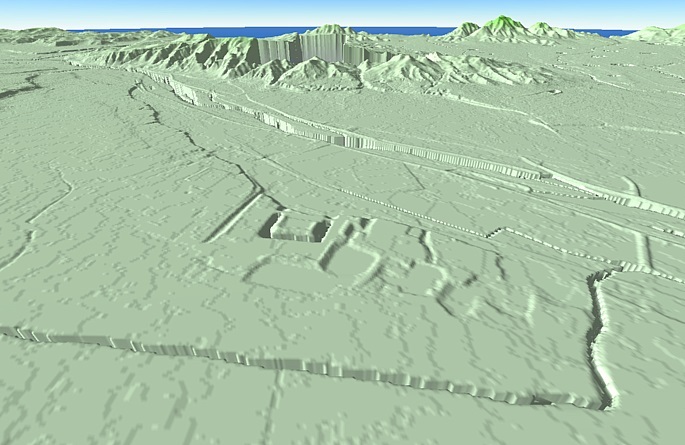 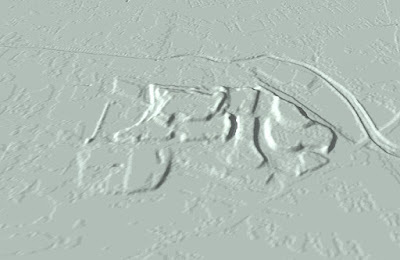 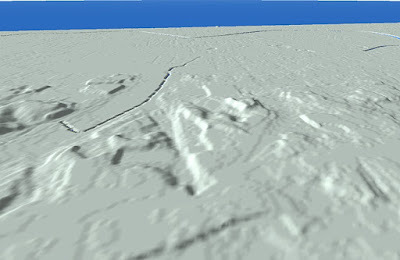 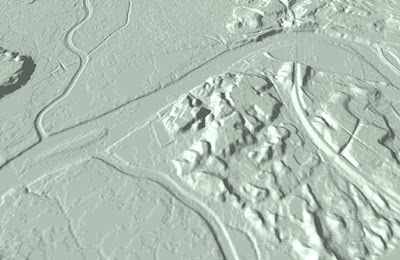 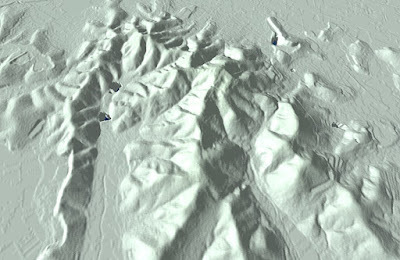 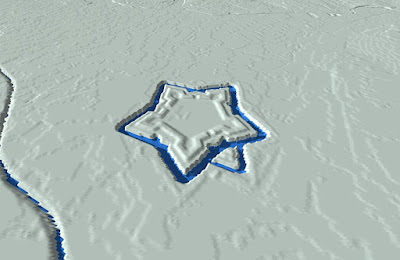 Rural area or mountain area do not have detailed elevation data, and if structures of castles were physically destructed it is difficult to trace the shape). 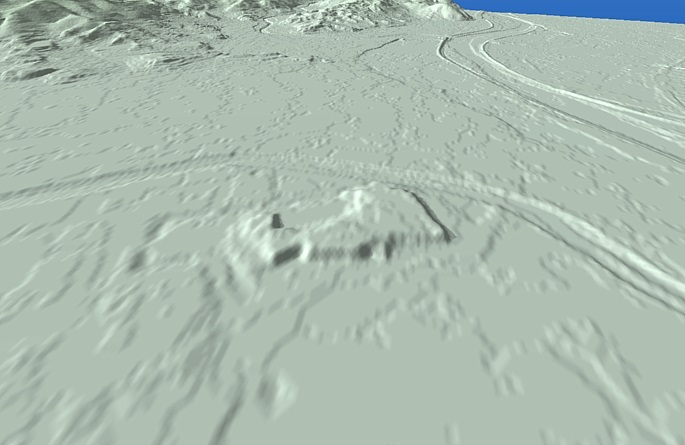 Some screenshots of large or interesting castles are as posted (scale of each picture is not same). 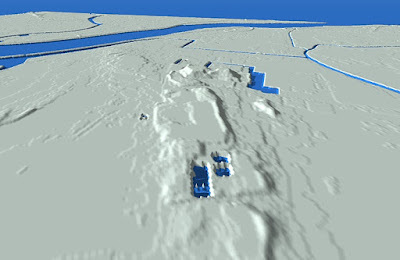 It is seen that many castles are built at same condition of terrain, such as edge of height or merging point of rivers. 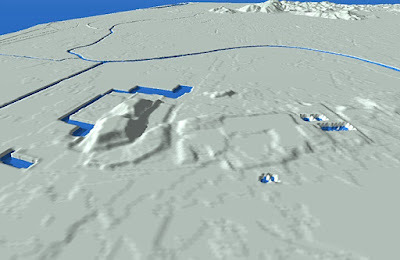 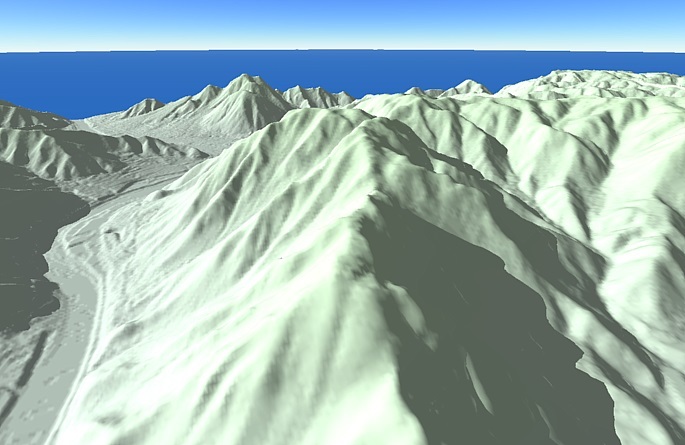 Below 3D perspective graphics are processed using 3D map navigation software "Kashmir 3D". 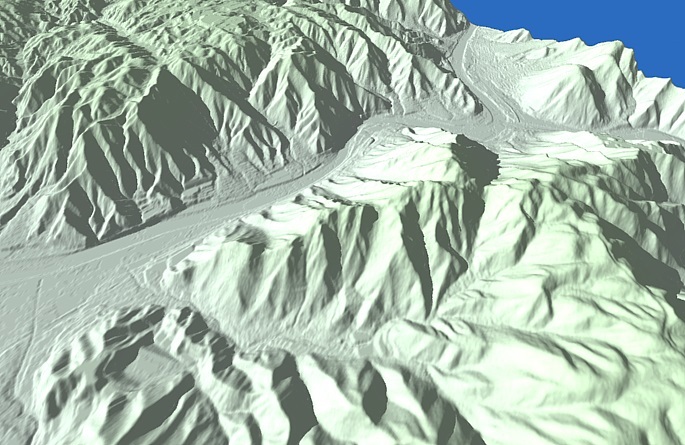 Express sincere gratitude to Mr. Sugimoto, the developer of this excellent software. Hikone castle (Shiga prefecture): Medieval style inner area and modern outer area.